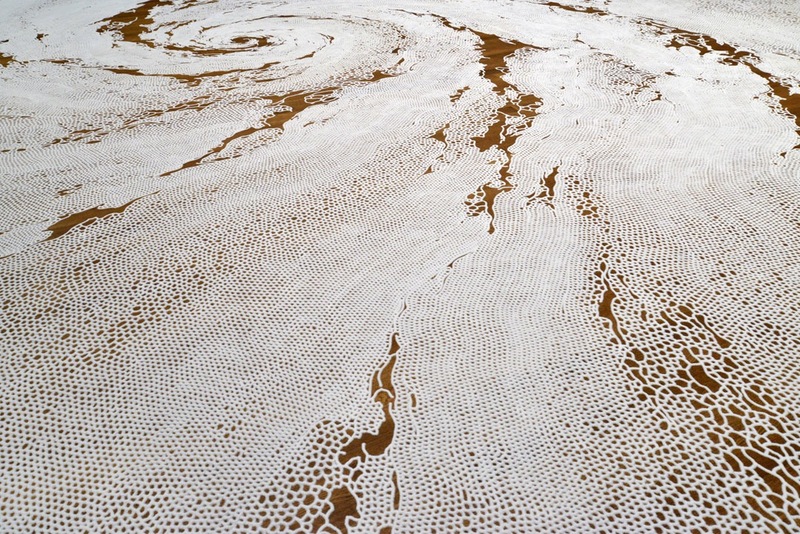 Motoi Yamamoto, a Japanese artist, after the death of his sister began to use salt as the main material for his installations. 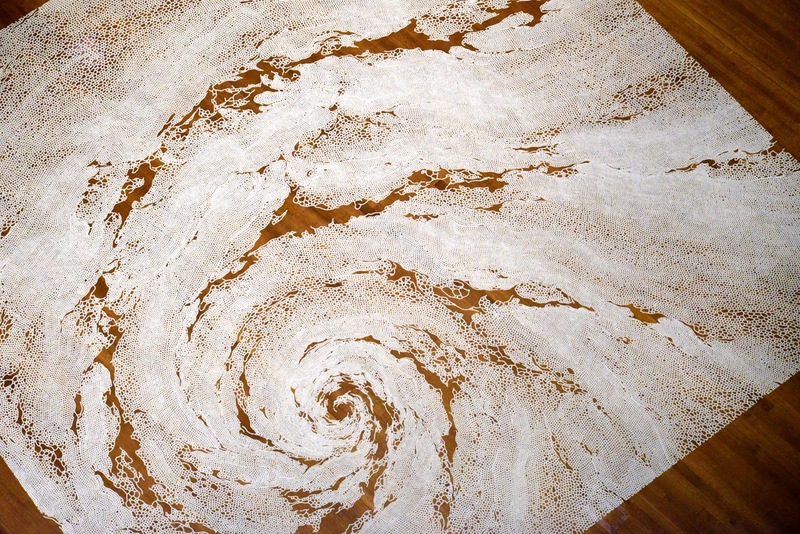 Salt is an essential mineral for nature and humans, and in Japan it is traditionally considered as cleansing, used in funeral rites and also placed in small piles at the entrance to restaurants and business places in order to ward off evil spirits and to attract benevolent ones. 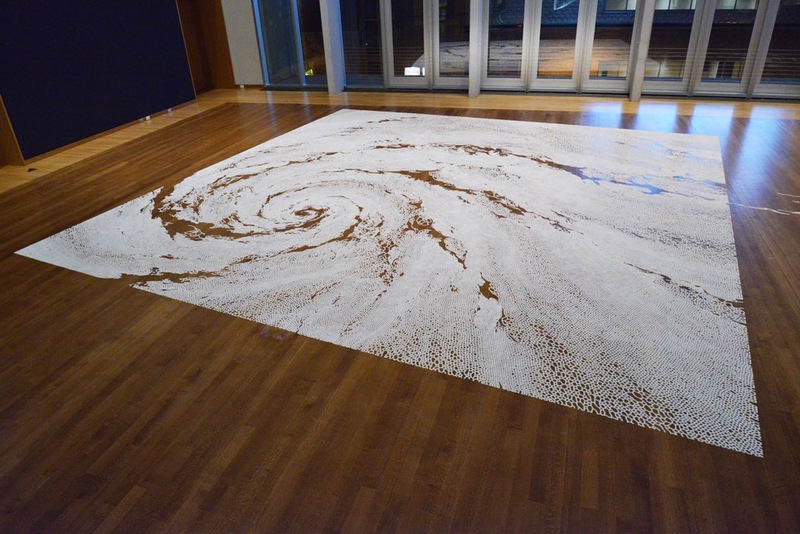 The creation of salt pictures is for Yamamoto full of meanings and the most important aspect of the installation is the dismantling of his work at the end of the show, delivering salt back to water in collaboration with his public: Return to the Sea. In my opinion, this is a great artwork: the meaning behind it and the result are incredible.